Crime And Punishment In Beverley As Part Of Lit Up Festival 2016 | HU17.net – It’s all about Beverley! 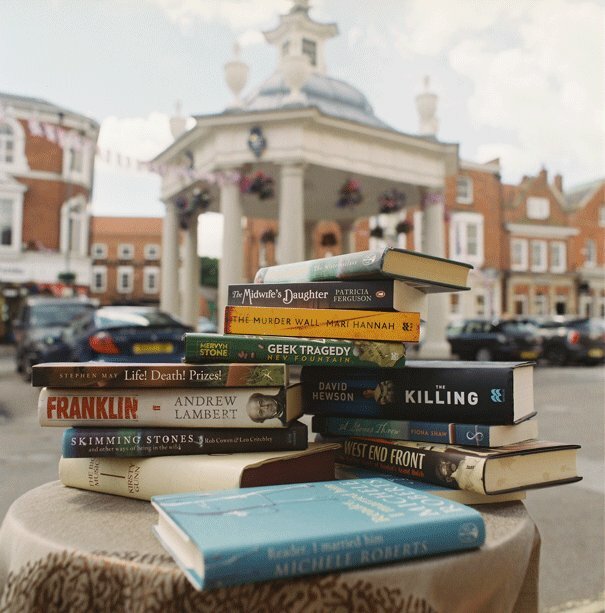 There are plenty of gripping twists and turns as Beverley Literature Festival delves into the underbelly of all things crime and punishment next month, bringing some of the most talked-about crime fiction authors to the town. Claire Mackintosh’s debut novel, I Let You Go, was the fastest selling title by a new crime writer in 2015, a Sunday Times bestseller and the Theakston Old Peculiar Crime Novel of the Year 2016. Join her on Saturday 8 October as she discusses her new novel, I See You. Described as ‘a powerful, chilling, gripping tense thriller’ and ‘SO addictive – twisty turny excellence’, it follows Zoe, a commuter who’s convinced someone’s put a photo of her in the classified ads newspaper – but why? One of the brightest new talents in crime fiction, Claire will be talking about her work and swift rise to success. While hardly unknown – having published eight short-story collections and 22 novels – and often named in lists of the best crime novelists of all time, Patricia Highsmith is still considered a somewhat niche author. Award-winning crime writer Sarah Henry and poet and novelist Jill Dawson – author of The Crime Writer, an exploration of the life and work of Highsmith – join the Beverley Literature Festival on Saturday 8 October to discuss the legacy of the ‘mean, cruel, hard, unlovable, unloving’ author best known for her novels Strangers on a Train and The Talented Mr Ripley, amongst others. As a forerunner to this event, Beverley Film Society will be screening Strangers on a Train at Beverley Parkway Cinema on Thursday 6 October. Combining the legendary directing skills of Alfred Hitchcock and the screenwriting talents of Raymond Chandler, this psychological film-noir crime thriller follows a socialite and a pro tennis star as they make an infamously deadly trade-off – but will they both go through with it? If you fancy turning your own hand to crime, writing workshops with writers Nick Quantrill and David Mark on Saturday 15 October will give you some invaluable guidance. Two of the most well-respected regional crime writers, Nick is the author of the The Joe Geraghty trilogy, while David’s seven years as a crime reporter with The Yorkshire Post later become the setting for his internationally bestselling Detective Sergeant Aector (Hector) McAvoy novels; and there’s not a lot they don’t know about crime fiction. Whether it’s how to create an intricate, believable plot, making characters plausible or keeping the pace and tension, this hands-on workshop will help you get started or give you some ideas about where to go with an existing piece of writing. Tickets are available from www.litup.org.uk, by phoning the box office on 01482 392699 or in person from Beverley Library. Tickets for the writing workshop can only be booked through the box office.